BANKS are so focused on cost cutting these days that job seekers hoping to be taken on could well be disappointed this year. Human resource firms said some banks, especially local and regional ones, are still looking to expand headcount, but only in certain business units. Corporate and consumer banking and compliance still have vacancies but investment banking posts are scarce. Jobs in back-office support functions, such as IT and accounting, are now virtually non-existent as many banks are shipping these roles to places such as the Philippines and India, said Robert Walters Singapore associate director Christina Ng. "Singapore was the flavour four years ago; we were the offshoring hub. But costs here have gone up significantly so in the last couple of years, banks have been moving to lower-cost locations." Mr George McFerran, the Asia-Pacific head of eFinancial Careers, said his clients, which include both local and foreign banks, expect headcount to remain "reasonably flat". Robert Half Singapore director Stella Tang agreed, saying that many banks are taking a "wait and see" approach, and might ramp up hiring in the second half of the year if the economic outlook improves. Hiring in private and corporate banking is still robust, she added, with banks seeking experienced bankers who can immediately bring in clients and revenue. Banks which spoke to The Straits Times affirmed this. One local bank said it was particularly interested in recruiting talent for consumer banking, compliance and risk management, as well as the back-office functions that will support these teams. Another bank said it was seeking relationship managers and client advisers for its wealth management unit, as well as "mid-office" recruits in legal, compliance, risk management and finance. But headcount at its investment banking division will be flat. Both banks spoke to The Straits Times off the record, citing competitive issues. Compliance is certainly a bright spot in an otherwise unexciting job market, consultants agreed. "New regulations are driving hiring at the moment, things like the Dodd-Frank Act, Basel III. These are fuelling demand for compliance professionals and people in technology who can put new risk frameworks in place," said Mr McFerran. But Hudson's director of banking and financial services, Mr Craig Brewer, noted that although most banks are looking to expand their compliance and risk management teams, this does not mean they are hiring massive numbers of people. "Compliance teams tend to be small and specialised. A large bank might increase headcount in compliance by three or four hires - that would be considered significant growth," he said. Indeed, Michael Page Singapore director Adam Faulkner said that generally speaking, there are more people looking for banking jobs than there are jobs available. Robert Walters' Ms Ng agreed, noting that it is a competitive field that includes people who have been retrenched from previous banking jobs and those who still have jobs, but are now overworked as a result of those retrenchments. "Some people are discontented with the cost cuttings at their banks, because they have ended up doing more than one person's job as a result, so they're looking to switch." Mr Faulkner said he meets people "fairly regularly" who were retrenched from their previous banking jobs and have had a tough time finding a new post. "There are many instances where they've been looking for an extended period. And these are good-quality people, not people who made mistakes at their jobs." Some of these job seekers have been out of work for up to 12months, he said. 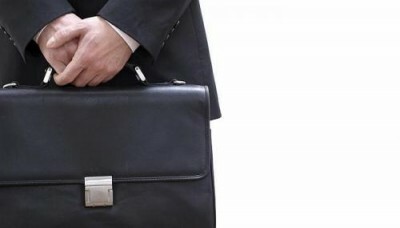 Those in this position tend to fall into one or two of the following categories: They were working in investment banking, they are quite senior - ranked vice-president or above with at least 15years' experience under their belt, or they are foreign candidates requiring employment passes. "If a bank is looking for a compliance person for wealth management, for example, it's very rare for them to consider a candidate who has done compliance at an investment bank. They look for specific sector knowledge," Mr Faulkner said. Ms Tang said 8 per cent of the job seekers who have come to the firm in the past three months looking for banking roles had been retrenched, most losing their jobs in the final quarter of last year. "This is lower than the numbers we saw in 2008 and 2009," she noted. PrimeStaff's director of human resource consulting, Ms Christine Sim, said those seeking to work in finance would do well to look for non-banking roles. "Insurance is still a growing field and there are many jobs in bancassurance and Islamic insurance, takaful."